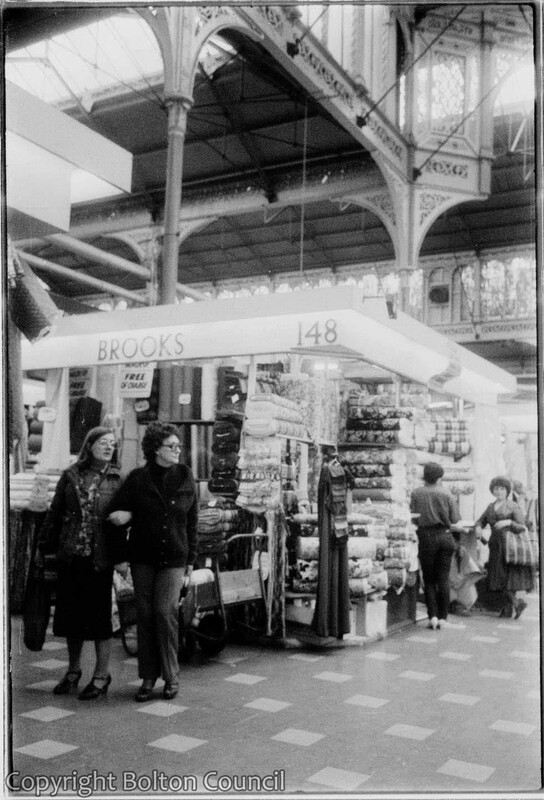 Shoppers in front of Brooks fabric stall Bolton’s market hall in the early 1980s. The hall has now become an indoor shopping centre. Bolton’s other market on Ashburner Street is still open and bustling (2012). I remember the Market Hall very well because my mother could go through the place for hours handling with the stall owners and getting all kinds of stuff cheaper then in Marks and Spencers or in C & A. I loved to accompany her on Saturday because I usually got some Superman or Batman comic. In the Market Hall there were also some of the first continental shops in Bolton for German or Italien foods.